There is no doubt that one of the highlights of the show is the Model of the Year (MOTY) competition, which you can find in the Atrium. The aim of MOTY is to encourage members to develop and improve their modelling skills, by competing against their peers and displaying their work. The models on display are inspiring and a must for you to see, whether it’s demonstrating new and innovative techniques, or a prototype rarely modelled before, or to just witness a project that has come together after a lot of hard work – and grateful to all who take the time to enter. As well as models entered competitively, there are others in the non-competitive “loans” section as examples of members’ modelling activities that have been going on over the last year. Perhaps this year this will be you? Take some time to consider whether you have a model to bring along for any of the competitive categories or for the Loan section – it would be great to run out of display space! I’m looking forward to seeing what you bring to enter in MOTY 2019! Select the tabs below to review how to enter the Model of the Year competition, the different classes, and what the judges will be looking for – and download your entry forms. A selection of pictures from the 2018 MOTY competition winners. Firstly, look at the summary of the MOTY classes and decide in which class to enter your model; carefully noting the conditions for each class, including any additional information, for example, pertaining to the Roundhouse Class. It would be very disappointing to have your model rejected for entry because of failure to adhere to the rules, which are there to ensure a level playing field for ALL ! Finally, please note that the competition is for people who are members in their own right, or have a family membership, NOT relations of people who are individual members. You need to complete both forms separately, (which can be downloaded from this page). PLEASE PLEASE have your completed forms with you when you arrive: completing them while booking in causes chaos! The longer Model Details form cannot contain any information that would identify it as your work: the judges must not know who has built it. The shorter Entrant’s Details form is not seen by the judges but is used to identify the models on official photographs, and not least to ensure names are spelt correctly on the winners’ certificates ! Complete at least one A5 sized information card, preferably printed in easily readable text on good quality white card or strong paper. This is to place in front of the model on display, explaining to the visitors what it is, and giving the judges some more information. This too must not have any information which would identify you; any cards which do will be removed. If you do not have access to a computer, then a clearly written card (blocks preferably) will be fine, but people do need to be able to read it. Arrive at the show in plenty of time to book in your model; booking‑in starts at 09:00 in the Atrium, with a closing time of 11:00. If you are a steward, you can book your model in from about 08:00. You may leave your model box under the display tables, at your own risk. You will be given a numbered tie-on tag to attach to your model, which will identify it to the judges, and a receipt which you need to bring with you to collect your model at the end of the show. Winners’ notices will be placed by the models soon after the results are collated, before the prize giving. If you cannot be at the MOTY area to be presented with your trophy or certificate when the results are announced at 15:30, please collect it, with your model, from 16:30 onwards. If you really do need to leave the show before 16:30, just ask. Entrant’s Details form: information about yourself, not seen by the judges. Model Details form: information about your entry for the judges. Please make sure your two entry forms are on two separate sheets of paper! Any locomotive, with no restriction on professional builders. This is typically those who have won other major classes in the past. Judged against a very high quality yardstick, models are expected to be of the highest standard. Steam locomotives not eligible for Class 3. The spirit of this class is that they are scratch built locos. Heavily modified locos based on a commercial loco are permissible, but this will be taken into account in the marking. Winners of this class will, in future years, have to enter for the Allcomers Locomotive Trophy instead. Models incorporating a significant amount of ‘Roundhouse’ parts – any two of frames, boiler, cylinders, valve gear or superstructure. Battery powered, internal combustion outline locomotives only. If it’s not IC outline, then it will be Class 5. All locomotives not eligible for another class – battery powered steam outline, fireless, overhead electric, compressed air, fuel cell…? Buildings, bridges, trackwork, motor vehicles, railway structures such as bridges or gantries. Must be railway related, not just any building that might be found near a railway. Passenger carrying vehicles, non-powered. Limit of 12 axles if your entry has more than one vehicle. Includes non-paying passengers, in whatever medical condition: ambulance coaches and hearse wagons are permitted – but not guards in goods brake vans! Goods and service vehicles, non-powered. Limit of twelve axles if your entry has more than one vehicle. Any item of rolling stock that is not within the definition of passenger stock for class 7. Imaginative railway models of any type. The more fantastic, ingenious or eccentric, the better. 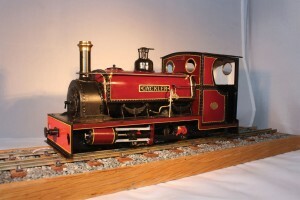 Any model built by a member up to 18. Models will also be entered in the appropriate class above. Awarded for originality, ingenuity or imagination in the construction of a model, with particular reference to the methods, techniques and materials used. Models will also be entered in the appropriate class above. 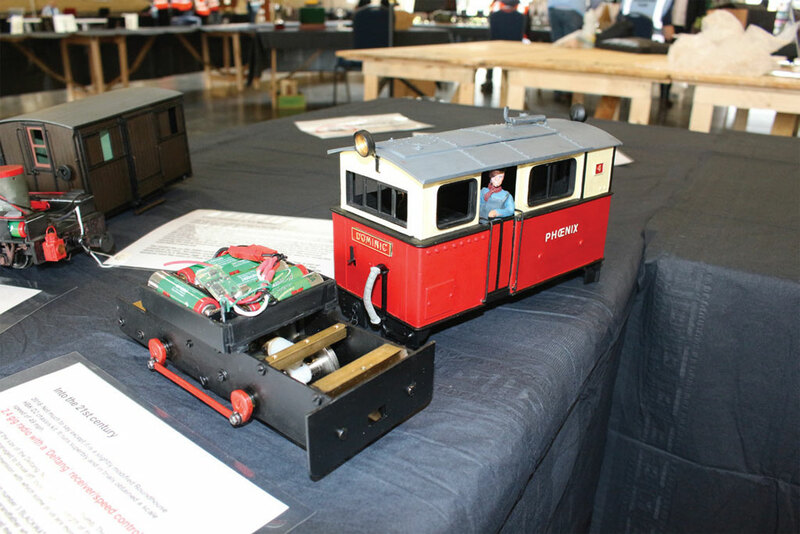 Awarded for the best module or group of modules in the Modular Layout. Key criteria include appearance and realism, adherence to the modular layout standards, and any working features. 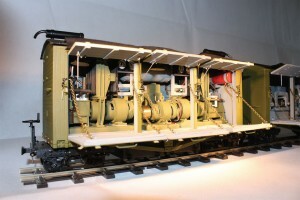 Any non-locomotive model, with no restriction on professional builders. Things you are in process of building, models that are interesting, but that you don’t feel like competing with; also if you want to get a taste for exhibiting, or to display unusual or innovative production processes you are working on. Inspire and help other modellers! 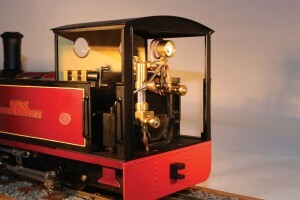 The competition is open to models of 14–22mm scale or thereabouts for use on narrow gauge track. Entries may be kit or scratch built. They may relate to past present or future railway items and may be real or imaginary. All locomotive entries are expected to work! Evidence that your loco works would be beneficial. Similarly, rolling stock that won’t roll will be discounted by the judges. Please bring along an appropriate length of track to display your model on. All entries must be displayed in the MOTY area in the Atrium, except for the new Modular Layout class. Entrants will be asked to confirm whether they receive remuneration from any aspect of modelling and, if so, to state the area. If they do, and in the view of the MOTY Head Judge it would create a material imbalance with rank-and-file members entering models in the same class, the model will be entered in the Allcomers Loco or Falcon Trophy class (1 and 13). The rules are subject to interpretation by the judges and officials, who make awards at their discretion. Their decisions are final. The judges have some guidance as to how they will judge your entry; a summary is shown below. Trueness to Scale: This is reasonably straightforward if the model is of an actual prototype, but not so easy if it is a freelance creation. “If it looks right – it is right” is perhaps the best advice. Unless the model is one of the whimsical classes such as the Diplock Trophy, then it is expected to be plausible in design, i.e. a real loco or whatever could reasonably have been expected to be like this. Degree of Difficulty: What is difficult? Straight lines are usually easier to model than curves, so any model with lots of curves, particularly compound ones, will have tried the patience a great deal. Think of the front water tank of an East African Railways Garratt… Rivets are difficult to make look right. Real rivets take longer but look better than punched ones. Does the model have working suspension? How elegantly has this been achieved? The best model is the one with the least compromises in scaling. 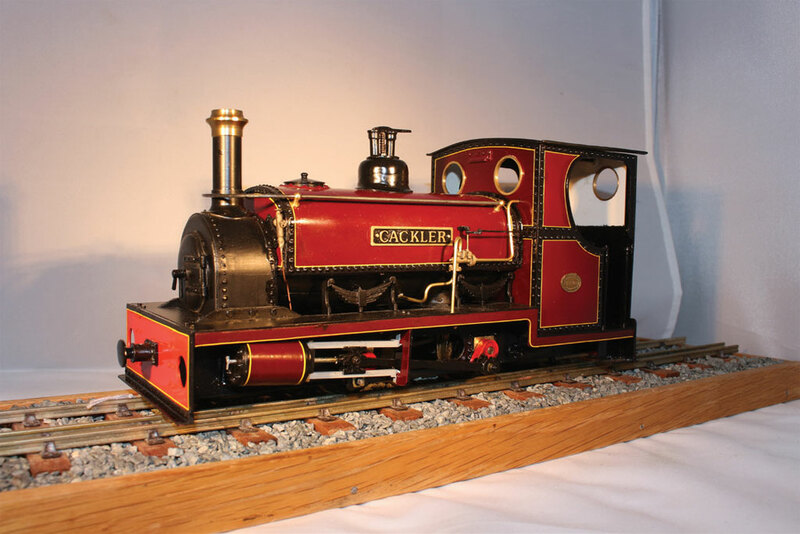 Use of Prototypical Materials: 16mm modelling borders on model engineering but whilst it is possible (even demanded) in the larger scales to use the materials that are used full size, this is not always practical or desirable for us. That said, if a loco body is made of steel rather than brass, or a coach body of wood rather than plastic, then the modeller’s diligence should not go unrewarded. Standard of Finish: Poor finishing can ruin many an entry. If the paint job is rushed and uneven then marks will be lost, as they will if the model has not been painted, or if the paintwork (like any other part of the model) is someone else’s work. Weathering has to be done with great care to avoid a clumsy looking result, and to make it clear that it is not just a scruffy paint job! Ingenuity and Originality: Included here are things such as the means of disguising radio control equipment or lighting circuits, along with the use of unusual but appropriate materials. Novel construction methods to solve a difficult problem will be rewarded here. Obviously methods involving the use of CNC machining and other computer aided methods are more prevalent nowadays, but the advances made possible by these methods must not be allowed to detract from the achievements made by someone modelling without such facilities. It is difficult, there’s no hard and fast way to tell you how to judge it! Does it work? Does the model actually do what it is supposed to: is it a “shelf queen” that is incapable of carrying out its function, and obviously built purely for this competition, or is it actually usable in the way intended? Examples are steam locos that are devoid of the pipework required to make it work, rolling stock without functioning couplings, battery electric locos with nowhere to put a battery and engine sheds that you can’t fit an engine in. Butterley entries are politely asked to show they work, although we are not making it a condition of entry. Steam loco class judges are expected to make a judgement as to whether or not the loco is capable of steaming, if it does not already show signs of being steamed. Use of commercial parts: Some classes, such as the Roundhouse Trophy, specifically intend to include certain commercial components, and these are indicated. However, the degree of use of commercial components rather than making said components from scratch is relevant. Has, for example, the builder done his own drawings and got cast axleboxes made (or even cast them himself) to be absolutely correct for the chosen prototype, or has he/she used the nearest available commercial ones? This can be hard to spot, which is why we ask entrants to provide notes to help explain, to both judges and the public, how they’ve done it, and why the Model Details form asks the entrant to declare all commercial parts. Peter Jones trophy: The key criteria are originality; creativity; inventive re-use of materials; and economical, low-cost modelling. Whimsey, humour and eccentricity may play a part, but this is really what the Gordon Diplock category is for. Modular Layout cup: Criteria here will be appearance and realism; adherence to the modular layout standards; working features; being modelled in spring or summer; and use of novel materials.